Learn all about the occipital lymph nodes, swelling and pain of occipital lymph nodes and treatment option to get rid of them. Lymph nodes are part of the lymph system, and they filter debris and destroy harmful organisms in the lymph. The occipital lymph nodes are only about three of the hundreds in the body working together in an intricate balance with other systems in the body. Swollen lymph nodes usually occur as a result of exposure to bacteria or viruses. When swollen lymph nodes are caused by an infection, this is known as lymphadenitis (lim-fad-uh-NIE-tis). Rarely, swollen lymph nodes are caused by cancer. Each lymph node has a specific purpose depending on where it is located on the body. The occipital purpose is to drain lymph from the scalp and nearby areas. When they swell, it can be a sign of infection of the scalp or nearby area. The occipital lymph nodes are 1 to 2 cm oval or ball shaped glands. The occipital lymph nodes are located in the back of the head, near the occipital bone of the skull. Much like other lymph nodes located throughout the body, the occipital lymph nodes play an active role in the body’s immune defense system. Each node is small, possessing a bean-like shape. They are connected by lymphatic vessels. Germs, bacteria, and other foreign substances become trapped in these nodes, where they are killed by lymphocytes a form of white blood cells. Anti-fungal creams and treatments will be used to treat funguses. The scalp will need to be treated for lice or ringworm when that is the cause of the swollen lymph nodes. In the rare event that cancer is the cause of the swelling, the origin of the cancer will need to be found and treated along with removal of the affected lymph nodes. Though an uncommon cause of pain on the upper spine is from lymph nodes that are swollen from lymphoma, it is possible it may be the cause. Only a physician can diagnose cancer after a thorough exam and the results of testing are received. When this is the case, the affected lymph nodes will need to be removed and a biopsy (dissection) will be done. Removal of a lymph node is called a lymphadenectomy and it is often done as an outpatient procedure. A condition of swollen occipital lymph nodes is referred to as lymphadenopathy. When the body is invaded by microorganisms, the immune system rushes to defend the body. Likewise, the occurrence of microbes in the lymph nodes causes the lymphocytes to fight them. The passing of information about such actions via neurotransmitters or hormones to the immune system, results in the transportation of more fighter cells to such infected nodes. Swelling of occipital lymph node rarely develops due to cancers. In most cases, the cause of the condition may be an infected puncture or cut, bug bite, lice, ringworm, dandruff or an episode of infection by viruses, bacteria or fungus. In rare case, occipital node swelling and pain may be caused by cancer. It may be noted such cancer does not metastasize or spread to other areas of the body. However, it is possible for the cancer from one occipital node to transfer to the other lymph glands. Occipital lymph node swelling and pain often occurs due to common problems like dandruff, lice, or ringworm. It can also occur due to diseases like HIV/AIDS, tuberculosis, STDs, gaucher disease, and tonsillitis, etc. 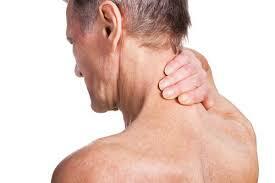 Swollen lymph nodes can cause pain in the neck region but it is not the only cause. There are other ailments that may be the reason for pain in the upper spine. When lymph nodes swell it can be from an infection in the area or from lymphoma, which is cancer of the lymph nodes. Swollen lymph nodes aren’t always painful but once they are discovered and no matter what the cause is enlarged lymph glands can cause concern and create anxiety because of their association with cancer. Generally they are responding to an infection in the body and will go about their business without the need of interference or treatment. Infections of the occipital lymph node are treated as per the kind of infection with antifungal creams, antibiotics, etc.Infections by resistant strains of bacteria may require further tests and use of stronger antibiotics. Ringworm and lice are treated with different drugs Cancers affecting occipital lymph nodes are treated as per the underlying causes and may involve chemotherapy, surgery, radiation therapy, targeted therapy, etc.